Tata Elxsi supports establishment of a pre-engineering delivery center for rolling stock design. The center addresses strategic activities such as project pre-engineering phases, bid engineering activities, preliminary design and drafting of specifications (Phase S) for mechanical and electrical system and validation engineering projects. Reimagining tomorrow’s rail travel experience, Tata Elxsi assists in the evaluation and assessment of design implementation for Brand and Customer Experience solutions. Tata Elxsi has global award winning team for delivering disciplined service design and best user experience. Our team conducts in-depth consumer and competitor benchmarking studies and evaluate novel designs objectively & subjectively. We have Centers of excellence (CoE) in areas of styling / aesthetic design, Class A surfacing in BIW (Body in white) design and UI design. 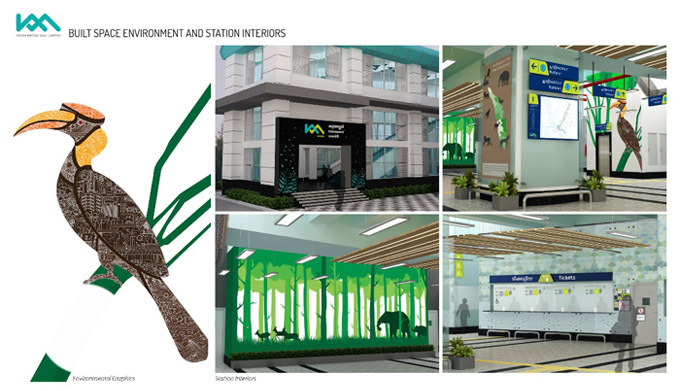 We have completed several projects on styling of passenger CAD 2D & 3D design, Car-body design, Bogies, interiors etc. for several OEMs and Tier 1s. We create photo-real graphics content which helps OEMs to enable visual communication across TV, outdoor, web and direct mail to integrate with other marketing activities. Ensuring that the manufactured product is true to its design, Tata Elxsi ensures that the product is true to its design and there has been no deviation or compromises. Be it vendor networking, component qualification or mold management our expertise has helped clients to deliver world-class products that meet all technical specifications.